But the young man's plea was in vain, for the ship did not return to port, and nobody knew what had happened to it. The young man remained standing on the shore. His dark hair turned grey, the green cloak was worn away, and still he stood and pleaded with the sea to bring back his beloved. Down at the bottom of the ocean, the king of the sea was busily planning a feast to celebrate his rich prize, for the merchant ship. 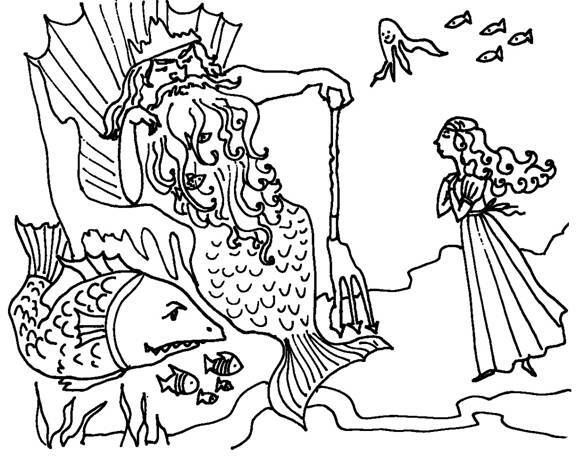 He ordered the mermaids to cheer up the girl, shower her with pearls and show her all the wonders of the underwater world. Yet their efforts, like the young man's, were in vain. The king became angry. One day when the people came walking along the shore they noticed that where near the spot where the man in the tattered cloak still stood grew a little tree with a yellow trunk and silvery oval leaves. The sea-breeze was gently caressing the young tree, playing with its leaves and whispering something mysterious to each of its branches. In the spring, the tree blossomed, and on it appeared a strange fruit resembling a green plum covered with little bumps. Its flavour was sweet and sour at the same time, as if it were some mix of strawberry, pineapple and lemon. The people called it ‘feijoa'. The tree soon became famous, for its fruit was filled with invisible iodine, just like the waters of the sea. People who do not eat iodine begin to fall ill, and their thyroid gland swells up. Nobody wants that, and so they began to plant feijoa trees in every land, but wherever the see-breeze did not play in its leaves, wherever its beloved did not bring the gifts of the sea, the tree did poorly and brought forth very little fruit. The tree suffered most of all in strong heat. Whenever the temperature rose above 25 degrees its buds would wither and fall, for the tree pined for its beloved cool sea-breeze. Yet in places where citrus trees would die, the feijoa didn't even get a chill - for one who is familiar with the cold ocean wind, a mere frost is nothing! To this day people don't understand where the feijoa tree gets its many fragrances from. Scientists have counted up to 93 different scents in its rich air, but they have identified only one out of every three of these, and even that was not a simple task! Maybe the sea breeze gathers them from the far corners of the earth and brings them to her beloved? Be that as it may, the feijoa tree with all its fragrances and iodine-rich fruit is truly a mysterious gift! What happens when people do not have enough iodine? Do you know any other precious treasures of the sea? Why do you think the guava fruit has such a strong odour? 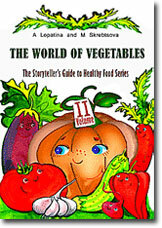 Write a story in which the fruit fairy grows guava from the wonderful aromas of the earth. Which other fruits taste similar to the guava?